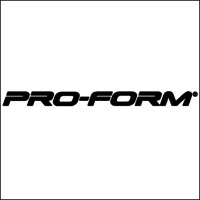 World leader in home fitness equipment, Proformfitness has experience in bringing high quality, innovative home exercise equipment to market. With qualified expertise to fitness products such as treadmills, exercise bikes, ellipticals, rowers and more. To drive your success, Products feature the most advanced technology available. Interactive fitness with 'iFit powered by GoogleMaps', touchscreen displays with web browsers, adjustable treadmill cushioning systems and much more...Striving for your success and providing the tools to help.